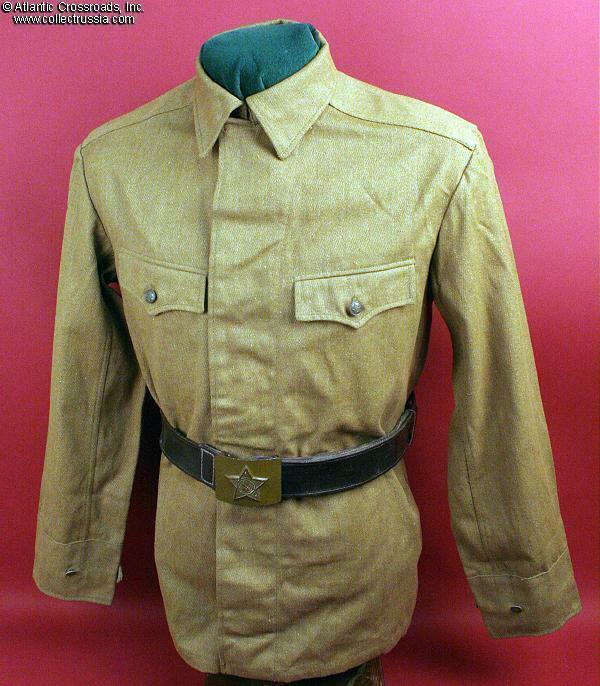 Soviet Army Sergeant's and Enlisted Man's field uniform jacket. Soviet size 46-2. Fits about a size 36" chest with a 24" sleeve from cuff to shoulder seam. 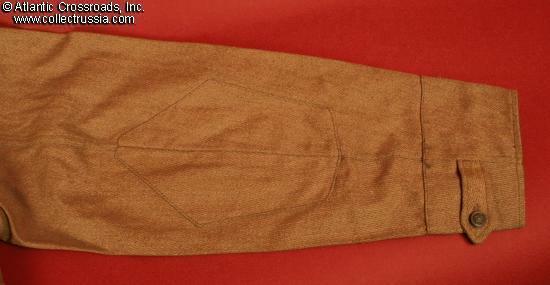 Trouser size about a 28" waist with a 27" inseam. 1977 dated manufacturer's stamp. 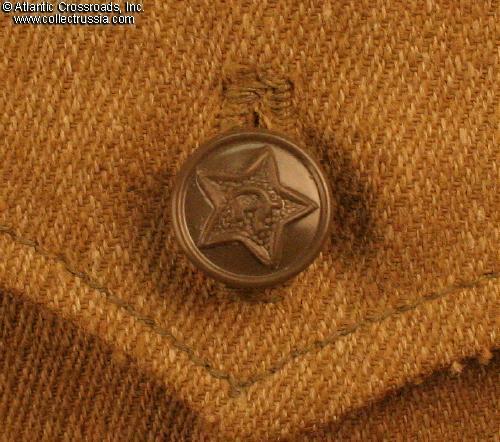 No insignia other than six plastic buttons showing the star with the hammer & sickle. Large shoulder boards sewn into place. Reinforced elbows. 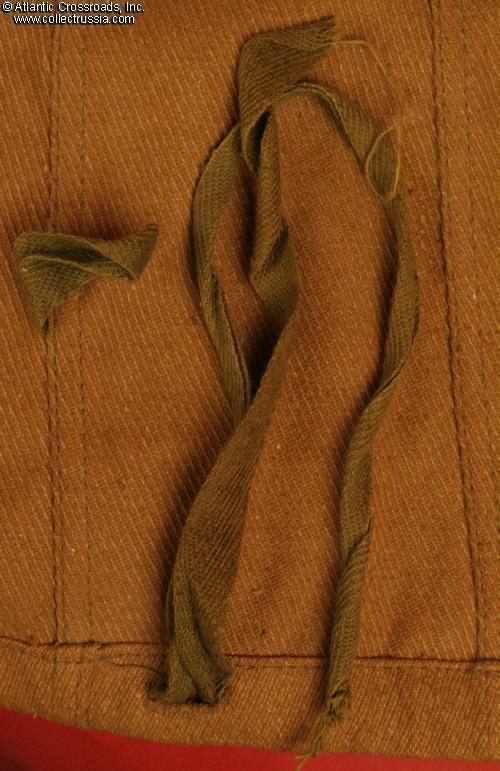 Evidently to prevent the jacket from riding up in wear, there are canvas ties and loops sewn into the inside hems on both sides. Excellent unissued condition. Light storage wrinkles only. 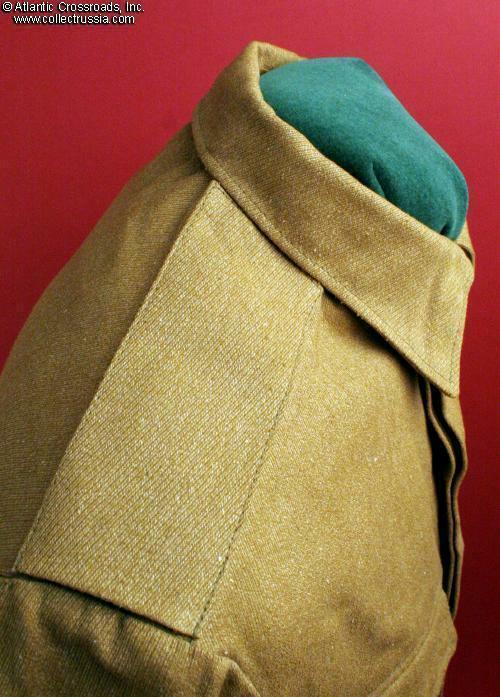 This model of fatigue jacket is shown in the 1974 edition of the uniform regulations published by the Soviet Ministry of Defense.